“Hailed as ‘A True American Maverick Among Fests’ and named among the top 50 film festivals worldwide, the Woodstock Film Festival premieres exceptional films; hosts the most talented emerging and established professionals in the movie industry; presents A-list concerts, panels and parties; and creates stimulating, innovative programming year-round." This year's 19th-annual Film Festival features another world-class lineup of fiercely independent films, panels and special events shown/held in Woodstock, Rosendale, Rhinebeck, Saugerties and Kingston. The five-day event started today, October 10, but it’s not too late to buy tickets — and the schedule is jam packed. 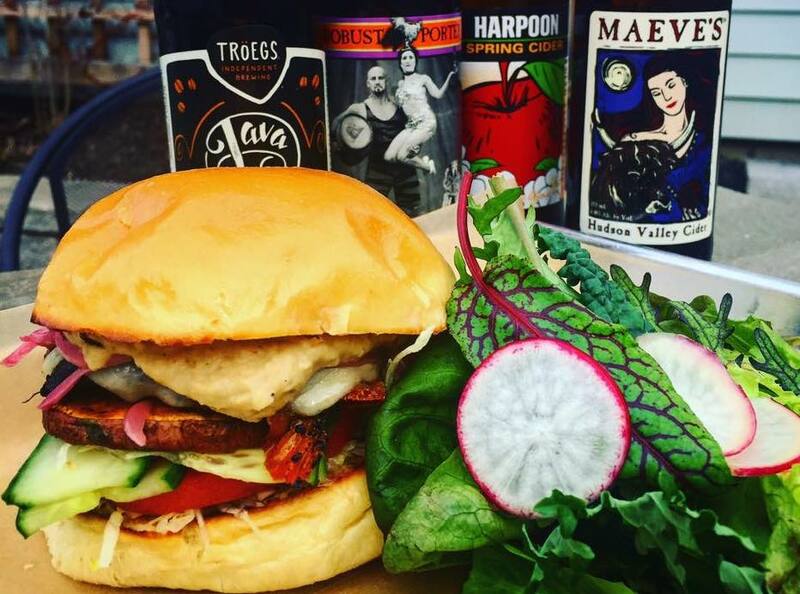 We know you’ll be moving from theater to playhouse to community center, and back again, so we’ve compiled a list of some of our favorite restaurants where you can grab a quick bite/drink to go, or sit back and absorb what you’ve just seen and heard. Stationed steps from Woodstock Playhouse, tucked away on the near side of the Sunflower parking lot off Mill Hill Road, is A & P Bar. 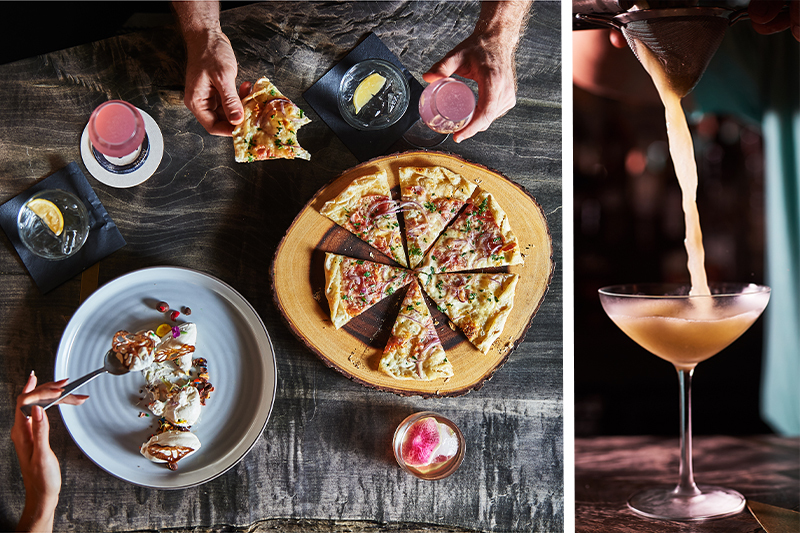 A new, local favorite, A & P provides — through its custom cocktails, creative cuisine and modern-country interior design — the perfect pairing of local and international and traditional and exotic. Pull up a seat at the bar, lounge on the ground floor, or people-watch from the open-air mezzanine. The only question: what do you like more, the ambience or the works of the chef and master mixologist? BONUS: If you’re looking for organic, local, non-GMO grocery items, or a smoothie, fresh-squeezed juice, deli sandwich or salad, Sunflower Natural Foods Market is your answer. Don’t let their website fool you: The Bear Cafe has been featured on the cover of Saveur and is considered “arguably the best restaurant in the region” by Gourmet Magazine. The longstanding combination bar, lounge and dining room is located in the historic Bearsville Theater complex, nestled along the Sawkill Creek with outdoor seating. 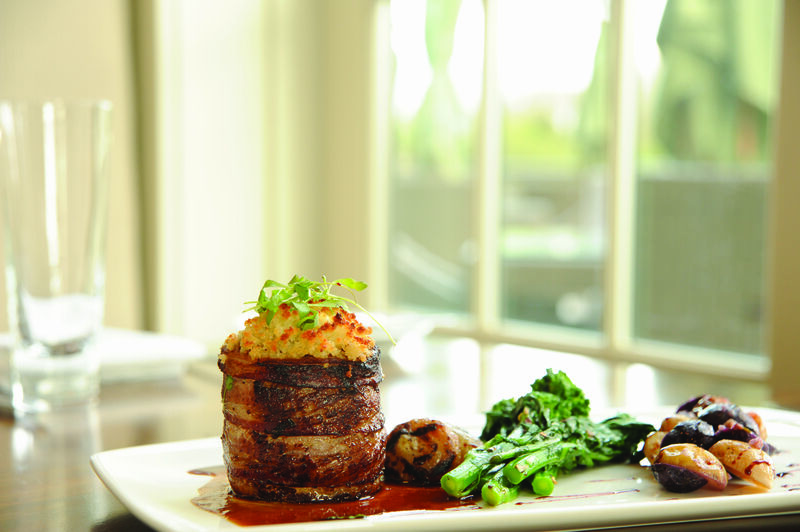 Here, you can always find an eclectic array of locals and visitors, and a wide selection of high-end rustic apps, entrées and desserts made from fresh, local ingredients. Also, in grand Woodstock tradition, there’s live music every night. Looking for pub grub with a twist? This is your answer, and it’s mere steps from Rosendale Theatre. Managed by William and Michelle Loughlin, former owners of The Loft in New Paltz, the historic Red Brick Tavern offers traditional American bar food like burgers, quesadillas, wings, steaks, chops, chicken and seafood — typically lifted by a one-of-a-kind sauce or unexpected preparation. 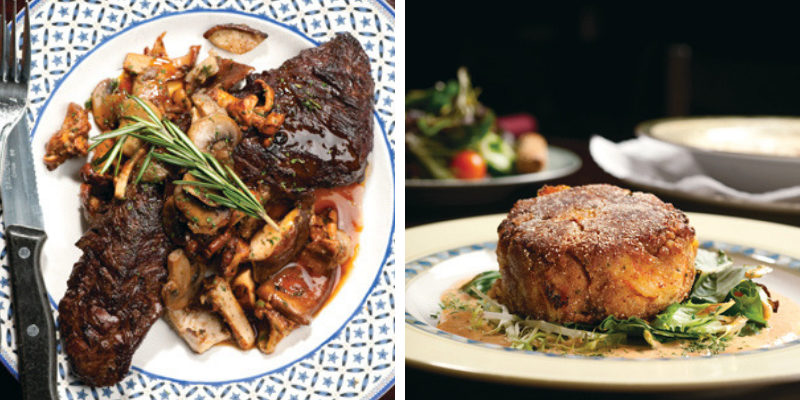 Popular reappearing specials include rabbit pot pie and Kobe strip steak with black truffle herb butter. 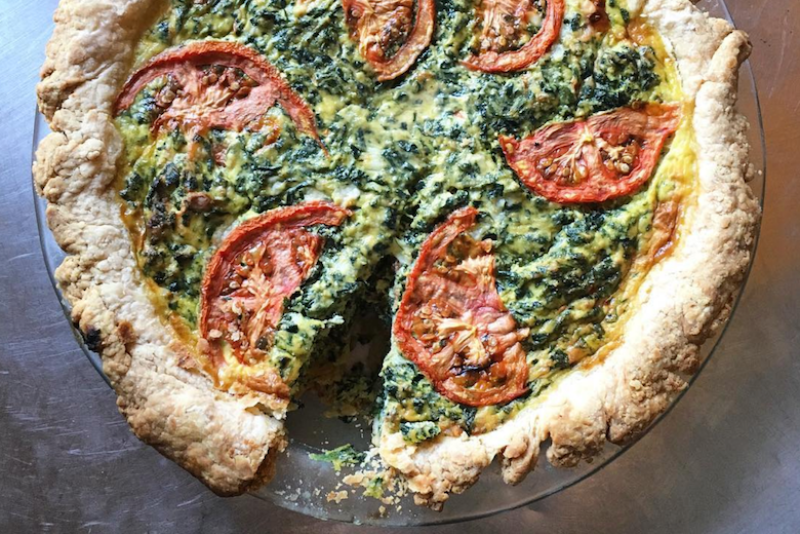 If you brought your dog upstate and/or love vegetarian food, live music and a ‘60s-era vibe, then give Rosendale Cafe a try. This award-winning casual restaurant with outdoor seating is also a quick walk along Main Street from the Rosendale Theatre. Enjoy weekly specials, assorted salads, homemade desserts, micro brews on tap, and performances from local and international jazz, blues, world and experimental musicians. BONUS: Stop in at Paws & Tail Pantry before or after the show, and stock up on the highest-quality pet foods, toys and gear for your pup. The owner and staff are atypically friendly and knowledgeable. Also dog-friendly, Terrapin is known for its seasonally inspired fine dining, featuring local, organic, hormone and antibiotic-free ingredients. Beautifully designed inside and out, the award-winning restaurant is located on the corner of Montgomery and Chestnut Streets in the heart of the Village — a four-minute walk from Upstate Films Rhinebeck. 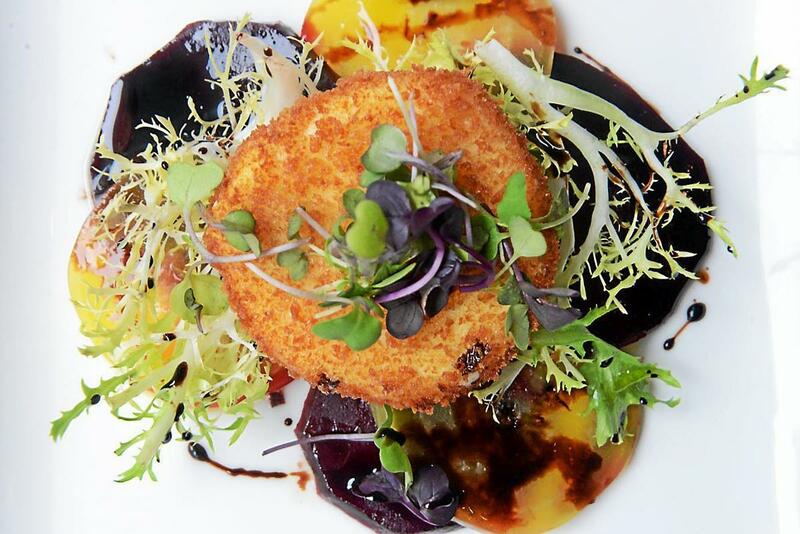 Expect superior quality and professional wait staff from this local institution, voted Best Farm-to-Table Restaurant and Best Bistro of the Hudson Valley. After years of offering their famous falafel only at local farmers markets, the Israeli husband-wife team behind Aba's Falafel finally opened a small, intimate, neighborhood-style Middle Eastern restaurant in the center of town. 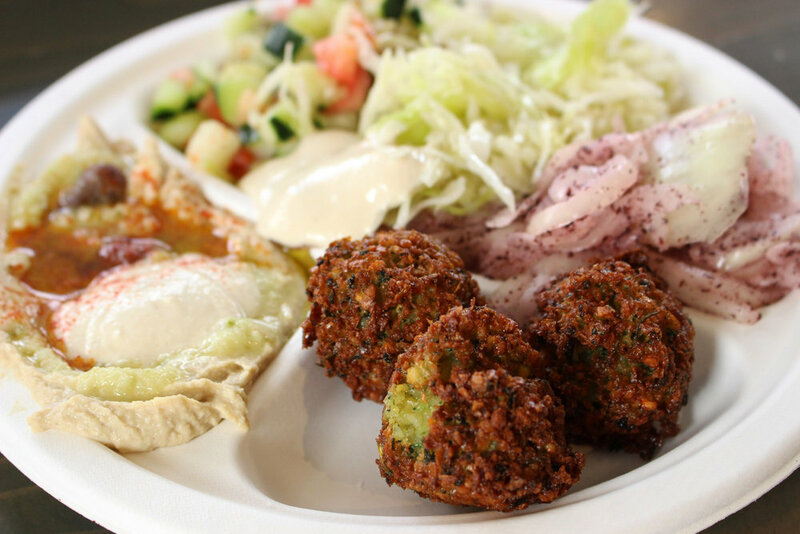 Serving fresh-to-order falafel, salads, hummus, soups and some weekend specials and offering eat-in and take-out options, this family restaurant is perfect for those looking for a quick, healthy, 100% vegan meal. Gluten-free options are also available. Heralded as the "Best Hidden Gem Burger Joint" by Hudson Valley Magazine, Buns Burgers is “pushing the farm-to-table movement into quick-service dining.” The popular eatery is a four-minute drive from Orpheum Theatre in Saugerties (there’s another location in Rhinebeck), and serves grass-fed beef burgers and milkshakes with ingredients sourced from local farms, as well as hand-cut french fries and their own zesty mayo-based sauce. Looking for something different? Replace your beef burger with lamb, chicken or portabella mushroom; or, trade in your traditional bun for a gluten-free option. The Tavern at Diamond Mills is one of the Hudson Valley’s best new restaurants, featuring “the handcrafted culinary art” of executive chef Giuesppe Napoli in an elegant setting overlooking the Esopus Falls. Here, you can dine al fresco on the Grand Terrace overlooking the falls; cozy up for a romantic meal in a booth by the fire in the main dining room; or join your friends for a lively post-screening evening at the bar. The menu includes world-class cuisine created to highlight the best of the Hudson Valley, plus local craft brews, custom cocktails using spirits from local distilleries, and the infest wines from New York State and abroad. Serious food. Serious drinks. No serious people. Wilde Beest opened recently in the old Elephant location, on the main drag in the historic Stockade District. 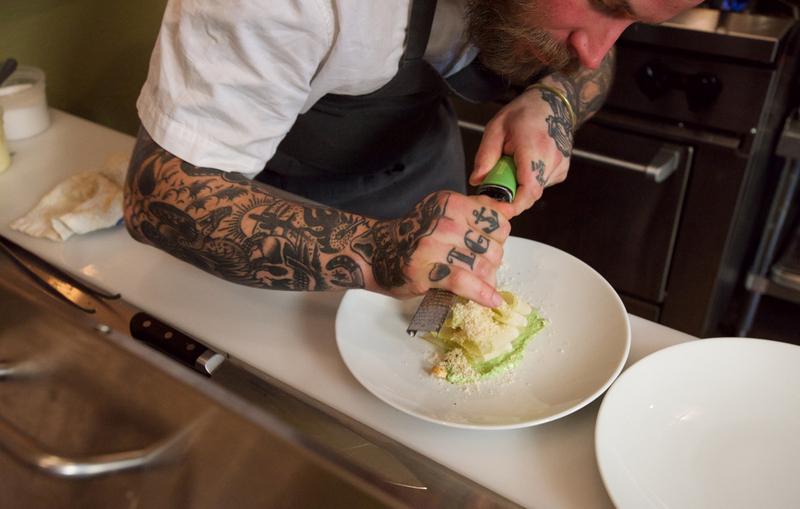 It’s like Top Chef and New York City-cool were transported effortlessly to the Hudson Valley. Sit by the bar, and watch the cocktails come together, or enjoy comfortable rustic seating in the open, airy dining room. 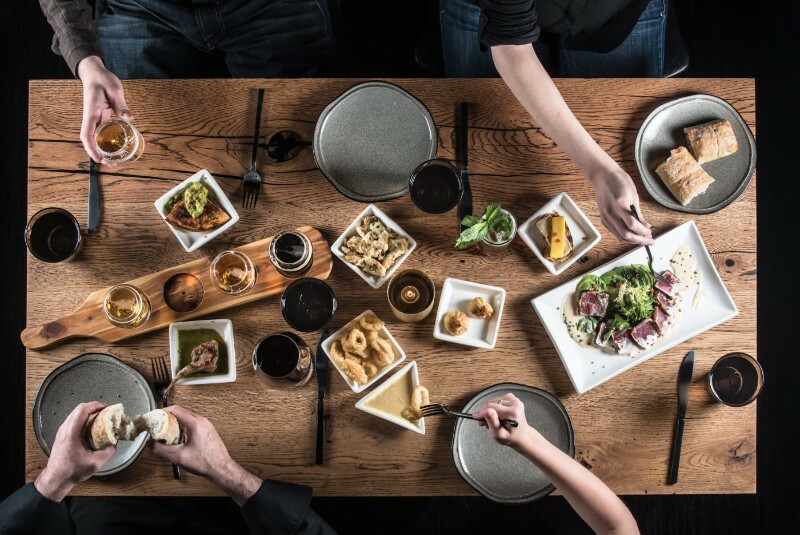 Diners here are “encouraged to break the conventional dining model” by sharing a series of dishes, utilizing “technique to maximize the impact of flavors, with products that are hand-selected at the peak of seasonality” from partner farms. The menu “walks the diner from the ocean, to the coast, through the fields and forests, and back to the farms and farmers” that provide the ingredients and inspiration for the highly acclaimed restaurant’s exciting, seasonal menu. Want something quicker (or, perhaps, a little less intimidating) in Kingston? 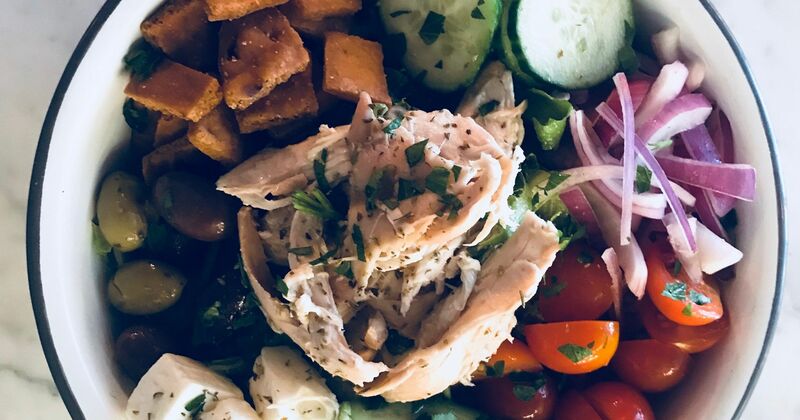 Order online or over the phone to take out a big Greek-inspired salad, rotisserie chicken or falafel sandwich; or, eat in and relax in the casual cafe-like atmosphere. A short walk from Wilde Beest and BSP Kingston, Kovo uses only the finest, freshest ingredients, sourced locally and from the Greek island of Samos. If we left out a restaurant you love located nearby the Woodstock Film Festival destinations, let us — and our other readers — know in the comments! Tired of booking rentals and hotel rooms when you’re here? We understand. We don’t just sell homes here, we live here and love it here. If you’re thinking of buying a first or second home, vacation property or land in the Hudson Valley, we can help. Halter Associates Realty is the fastest-growing real estate agency in the Hudson Valley and the largest independent agency in Woodstock. Schedule a free consultation with us today, and #ExperienceTheHalterDifference. Life is Better in the Hudson Valley… during, before and after the annual world-renowned Woodstock Film Festival — just ask Paul Rudd, actor, owner of Samuel's Sweet Shop in Rhinebeck (right near Aba’s Falafel! ), and Film Festival participant.